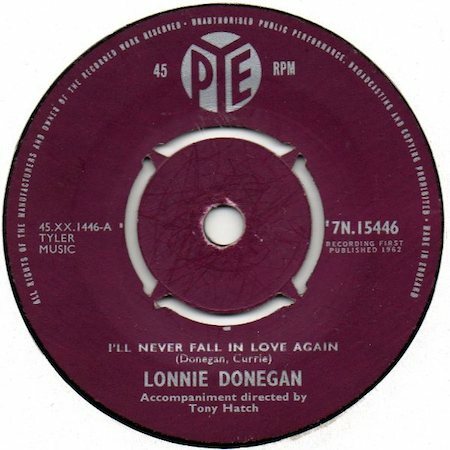 Know as The King of Skiffle, Lonnie Donegan was born in Glasgow, Scotland, in 1933. 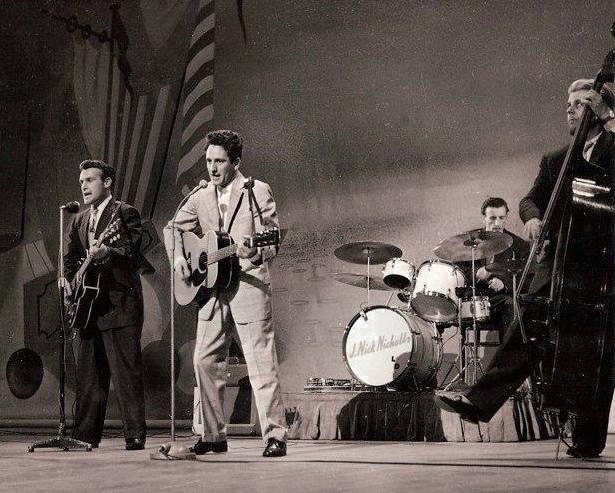 He helped bring Rock ’n’ Roll to Britain in the mid 1950s; he influenced hundreds, perhaps thousands of youngsters to pick up a guitar or even an old tea-chest and broom-handle, and go out and play music the way their parents had never done. Lonnie’s first love was jazz, trad jazz, but recognising that audience responded well to his fast versions of numbers by Leadbelly and Woody Guthrie, he recorded some of these and had huge success in 1956 with Rock Island Line. By that time, however, Lonnie was no longer the draw he once was, and the number was lost in the record bins of history.